Flash has been around helping developers make addictive browser games for quite some time. Flash naturally moved to accommodate mobile games and applications as mobile gaming grew. A number of years ago, Flash used to be required for playing videos on the web, (like with YouTube back in the video uploading site’s early days). Meanwhile, Apple devices, like the iPad, have never supported Flash. Whether you know it or not, you’ve played some Flash-built games. You know that game where you launch hornery avians at swine? Well, it was made in Flash (we’re talking about Angry Birds, for the record)! You’ve likely heard of FarmVille and Clash of Clans too, both of which were developed in Flash. It used to be known as Macromedia Flash, or Shockwave Flash. In 2005, Adobe acquired Macromedia, so now it’s known as Adobe Flash. Despite YouTube moving from Flash and some Apple products never supporting it, Flash is still very relevant today. If you want to get into some Flash game development, there’s no time like the present. As always, we’re here to help out. We’ve scoured the world wide web to pull together some Tutorial options to help get you started with Flash game development. Some resources are free, some are not, so you’ll have to decide the path your take in your programming pursuits. We do our best to give you the intel you need to make a solid decision. P.S. We’re sure you’ve already thought of this, but just in case you haven’t…You’re going to need the Flash software to actually practice what you learn in these tutorials, and to use the software to make games. If you haven’t downloaded it already, Adobe offers a free trial. UDemy offers an Adobe Flash for beginners course. Guess what? It’s free. Hard to beat that! UDemy is a solid place to start your Flash learning journey. Upon completion you will receive a verifiable certificate, stating that you did, in fact, complete this Adobe Flash course. It might not unlock hundreds of doors for you, but it certainly won’t hurt your prospects, either. This course deals with using the software for web interface design, interactive animation projects, and even using the program to stream high-quality video. Introducing interactivity to your awesome graphics and animations is just a hop, skip, and a jump away from building games with Flash. So while this course doesn’t specifically feature game development, it will give you plenty of skills that you can carry over to your game masterminding. This particular course has had nearly 78,000 students enrolled since its release several years ago. It has almost 150 lectures to go through (148, to be exact), which ends up being about 10.5 hours of instruction. The course has been reviewed by 186 people (at the time of this article) with an average of 4.4 stars out of 5. As you can see, it’s been well-received. Check out the reviews yourself and see if past students have gotten out of this course what you hope to get out of it. TrainSimple provides Adobe-authorized training in Adobe Flash. Sounds official! Of course, this kind of high-caliber certification from the software owners comes at a steep price… It’s $15 dollars a month to join TrainSimple and use their programs. Their introductory course includes dozens of lectures that are all under 10 minutes long, focusing on one particular skill at a time, with a video presentation to communicate the idea to you. There’s a quick course trailer available to watch, which talks about Flash and what you can expect to learn. It also shows you some pretty clips of what Flash is capable of when you take the time to really learn it. The course allegedly takes about 5 hours. It may be more depending on how much time you want to spend practicing. Still, no matter how busy you are, you should be able to knock out a 5-hour program within a single month, meaning you could theoretically get through the introductory course and some of their advanced flash courses all while just paying a single $15 fee for one month of membership. The course/membership comes with complete access to TrainSimple’s library, their recommended learning paths, and many exercises for you to practice your fresh skills. Speaking of Adobe-authorized… Adobe itself actually has a moderate database of training materials and video tutorials for you to look through. They break their Flash training down into 5 steps: Flash basics, Graphics and symbols, Timeline Animation, Interactive Buttons, and Digital Video. It may not be the most fun way to learn Adobe, but at least you’re learning from the authority on the software. Some of the lessons are in video format, others are text-based tutorials. Certain lessons have sample files you can download, which let you look at a working file of the completed project from the tutorial. If you’re inclined, you can compare your own tutorial results against the sample provided to make sure you completed the exercise correctly. Oh, and these tutorials are free, too. So that’s plus. 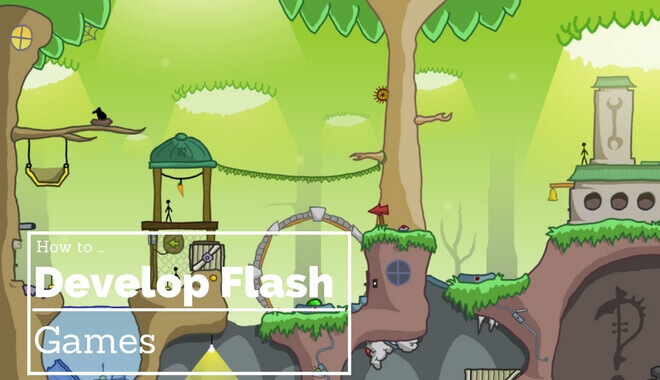 Kongregate Labs offers a free tutorial for building your first game in Flash. It’s a game Kongregate Labs calls Shoot. They also offer “Shootorials.” You can download the source code for Shoot and they provide guides that show you how to finagle with the code. This lets you learn some Flash elements while putting your very own touches on the game. There are eight different tutorial sections, each one teaching you how to adjust a different element of the game. 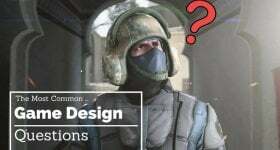 This is a great option if you want to launch right into game development rather than learning the more general elements of what Flash has to offer. MakeFlashGames.com offers text-based tutorials that teach introductory elements to Flash. There are also a number of tutorials that teach you how to make specific games. If you need a short break from learning Flash and working through a tutorial, you can click one of the links for the finished Flash games that are mixed in with the tutorials. Who says you can’t mix business and pleasure? The website ranks the difficulty using a star system, one star is easy, two stars is a little more challenging, etc. That’s helpful for knowing what you’re getting yourself into. There are a bunch of tutorials to pick from. The site includes everything from a simple “Apple Catcher” game, to a Flappy Bird game, to a Tower Defense Game. Screenshots of the code elements and the software windows help make it easier to understand and follow along. Did we mention that it’s free? Newgrounds is the OG hub of Flash games. We’d be remiss if we didn’t mention this timeless classic of a Flash game haven. Luckily they have a couple tutorials on making games with Flash, so they actually earn a spot on our list. All of the tutorials on Newgrounds are free. There are some decent options for beginners. 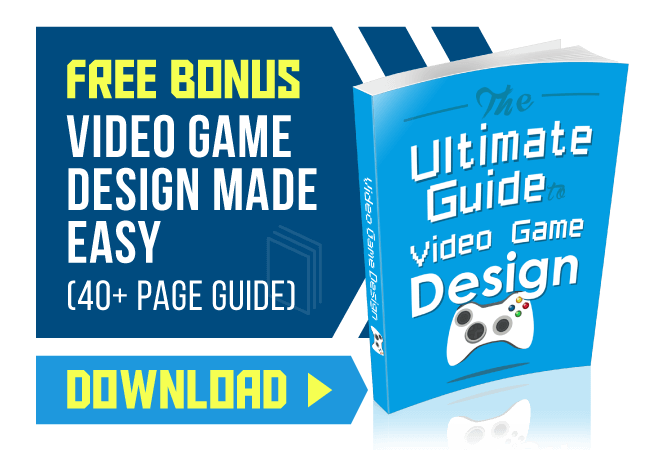 A few of the guides will teach you how to make games from scratch. There’s a platformer tutorial, an RPG platformer tutorial, even a 2D physics tutorial. The database isn’t very extensive, but there are some videos in there that can help you if you’re stuck, or help you get started. At the very least, you can browse the Flash relic in awe of its ancient glory.